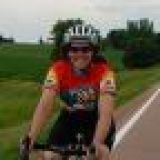 Each of the past 2 years, the last brevet of the season in Minnesota is a 200k in the first week of October. Last year, it was in Rochester and the temperatures never got out of the 40s, it poured rain almost the entire day. I did that ride with a newbie randonneur, Ken, who went on to do his first 600k this year. 125 miles in the freezing, pouring rain is good mental prep. Thankfully, this year's ride, this time in Apple Valley, was not during a rain storm. The rainstorm came the week before in the form of the biggest September rainfall ever. Flooding was a real concern for this ride, but turned out not to be an issue. I will say that the views of the Cannon and Zumbro River were something. This year, the temperature was in the high 40s to start and at least made it into the 50s for the day. 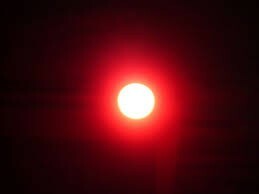 The sun made occaisional to frequent appearences as well. I had been expecting fabulous fall colors, but those hopes proved futile. It appears the big rainstorm had stripped many of the trees so it seemed much greyer than I expected. But there were some bright spots as well. The ride started off at 8:00am in the traditional Apple Valley start. 35 riders showed up for this ride which was an all-time record. 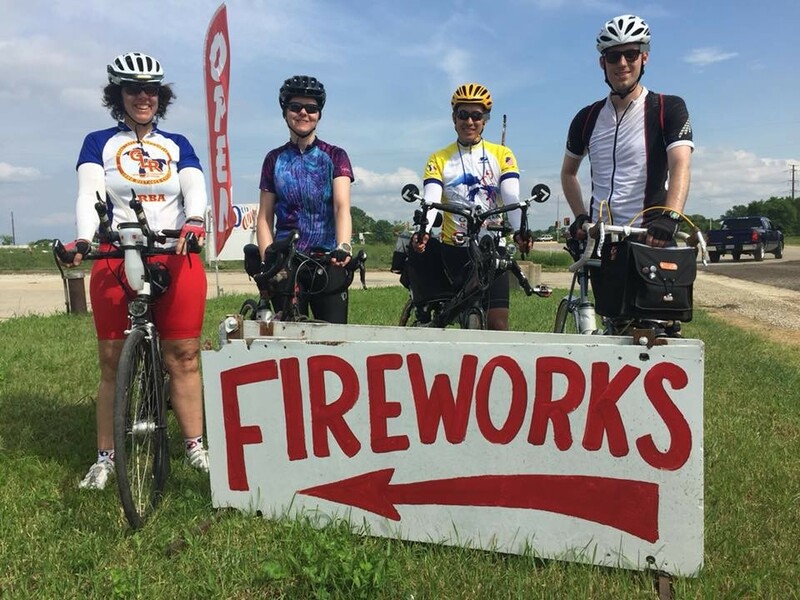 Apple Valley rides, especially the shorter ones, draw from the TCBC pool of those who are there to enjoy the ride, but are not necessarily RUSA members. Rob calls them the happy randonneurs - they cruise the countryside unconcerned about controls or time limits. Really rather refreshing. The first leg to Cannon Falls was one I have now done about 4 times this year. As we headed down 160th, a large group of the fast riders passed me. I'm still a little anemic so I let them pass figuring I would be dead last by plan. Besides, with 35 people crowded into the control at Cannon Falls, why rush? I finally managed to pull my camera and take a picture of the 3 foot Aquaman statue - I'd been meaning to do that for ages. There was a slight tailwind and even not working hard, I managed to get to Cannon Falls just before 10:00am. 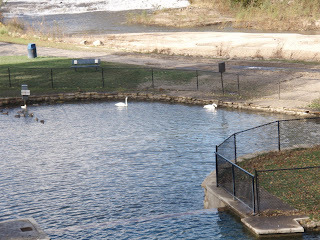 I stopped to take pictures of the 2 trumpeter swans that have been living just off the Cannon River. They will probably start migrating soon. There were several beautiful red-gold maples in Cannon Falls too. This was some of the nicer fall colors on the route. At the control, a gas station, I made a point to get through quickly. Hardly anyone was there, just 2 or 3 bikes. I grabbed some tomato juice, refilled bottles, and took off in just under 10 minutes. The next section supposedly had a section of difficult rollers that Rob warned about at the start. I took this to heart expecting something like the area west of Madison; turned out to not be so bad from my perspective although I later learned that others had really felt some pain. 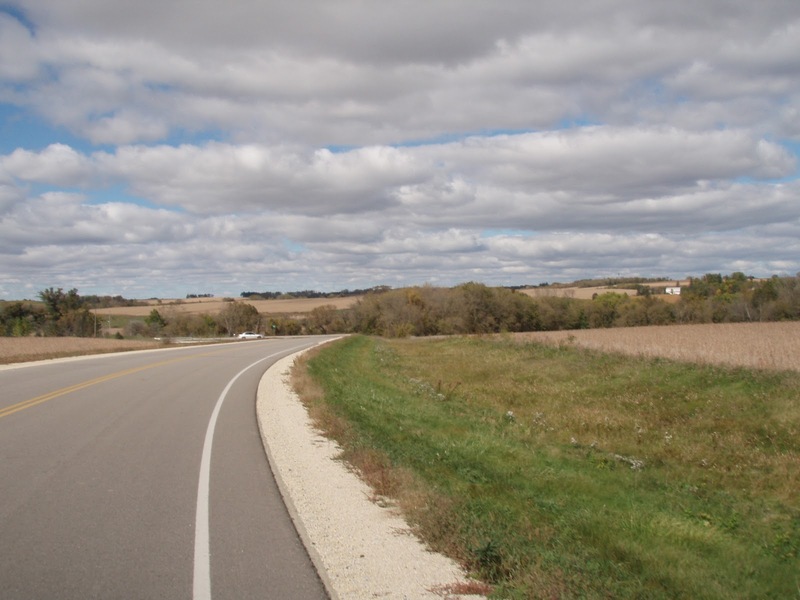 The ride to Zumbrota was actually very pleasent for me with rolling hills, lots of harvesting, and some occasional patches of fall colors. I noticed that the Goodhue County Historical Society has begun posting signs marking the old farm towns that used to dot this area. Most of those places now only contine one or two houses or farms. But it does make one consider what it must have been like to live here 100 years ago when 10 miles was a huge distance and roads were dirt. Those few remaining houses are always interesting to look at. Many are restored or look as though they have been cared for by generations of the same people. I was actually very surprised by the descent into Zumbrota when I had been expecting worse rollers. I got to the control at noon. Here I grabbed a V8, some cookies and a Mighty Mango drink. There were 3 people at the control. I talked to one of them for about 5 minutes. He was having issues with his knee and later quit at Wanamingo. I talked to him later at the finish, he'd had a nice riide anyways. Riding out of Zumbrota, I cruised briefly with a guy named Dan from Iowa. This was his first brevet, though he and his buddy had ridden across Iowa in 24 hours (prettty cool). We chatted about PBP briefly and he finally pulled ahead to rejoin his friend. Their pace was slightly faster than I wanted at that point. 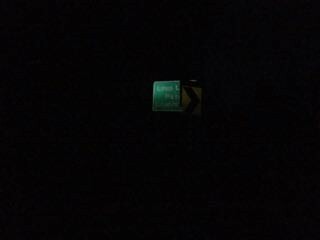 I knew that shortly we would be turning north on CR14 directly into the wind and I wanted to save my energy. The route along CR30 outside Wanamingo first goes along a very pretty river and they gradually climbs on rollers to give some really nice views of the rolling countryside. The turn came faster than I expected since the strong northeast wind was almost a tailwind. The turn into the wind was a slap in the face. The next couple miles, I spent in my drops (I have new handlebars that make this a much nicer experience and I appreciated them). Finally, the road descended down a hill. Granted, you still had to pedal due to the headwind, but at least speeds were over 11 mph. 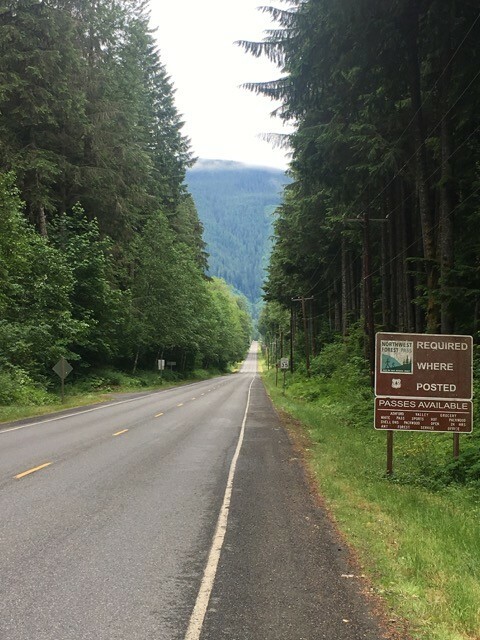 CR14 wound around through more rollers and former towns. A guy on a bike passed me going very quickly, not sure if he was on the brevet or just out enjoying the day. At this point, I was nearing Soggn. Soggn is down in a valley so there was a lovely winding descent. The hills broke the wind and there were many more trees and several pastures with cows. A nice change from the cornfields. At Soggn, I patiently spun up the big hill. 1 mile at about 6%, but still not really difficult. There was a stretch of really nice yellow trees here so it was scenic. I passed the Soggn Valley Orchard, which apparently has been closed all year due to a hard frost last May (no apples for them). They have hope for next year. After the climb out of Soggn, the road turned north once again, but there were still some hills and it was a gradual downhill so the wind didn't slow me down quite so much. I realized at this point that I had basically ridden almost 100 miles alone. I figured there were 1 or 2 people behind me. Hopefully, they were working together against the wind. I passed a bunch of parked cars that were there for the Soggn Valley Art Show. 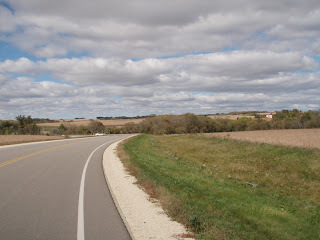 The final stretch into Cannon Falls was winding with a little wind, but quiet and scenic. I crossed Hwy 52 and rolled into the control at 3:00pm. There were about 6-7 bikes there with many lounging. I wanted to finish by dinner, so I again did the super quick control routing and pulled out 8 minutes after leaving. Everyone who was there when I arrived was a also there when I left. I assumed that they would easily catch me. I noticed the bikes from the Iowa riders. 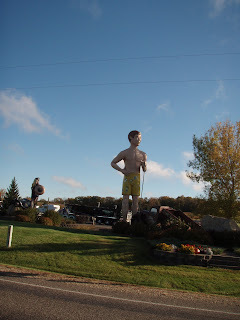 Rob had a different route out of Cannon Falls than normal so I had to pay attention to where I was going. Cty Rd 29 was a little mealy until the city limits but then improved. The turn onto Hogan was directly into the wind across a flat section to a moraine in the distance. The wind here was fierce but I plodded on until I crested the moraine and descended down into another section of rollers. 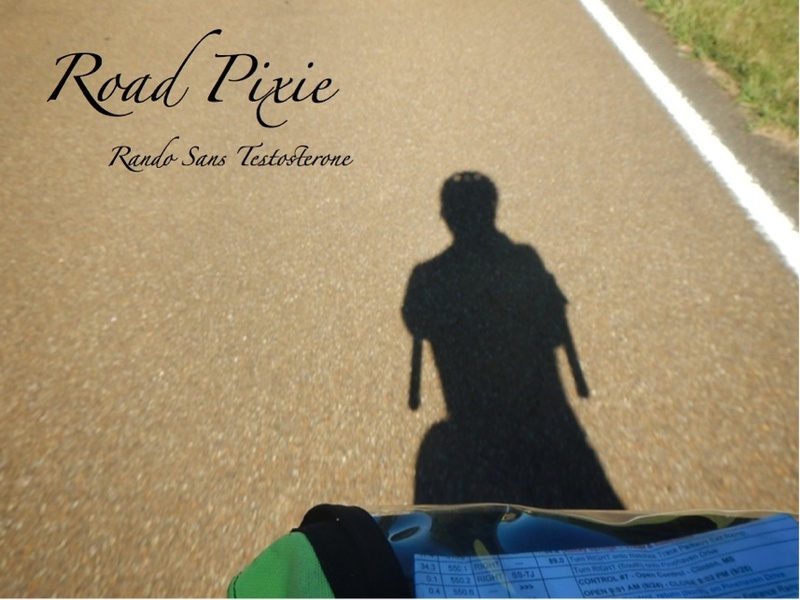 A recumbent passed me just before New Trier and both of us turned together onto SH 50 for a mile. SH50 had lots of traffic and no shoulder so we both pedaled hard to get through it as quickly as possible. He pulled ahead once we turned north onto CR85. This section was more flat cornfields, but the shoulder was fabulous - almost 6 feet wide and not a crack in sight. Even with the wind I was doing okay and I figured on getting in around 5:30. About 3 miles in, I heard a shout and then barking. A very large, black dog was heading for me with that "your leg would look great hanging in my doghouse" look in his eyes. Of course, this was on an ascending roller so the adrenaline kicked in and I sprinted as fast as I could screaming at the dog (and the owner). I really did think he was going to nail me, but he veered off at the last second. At this point, I crested the roller, completely exhausted. I really thought that I might exhale a lung if I didn't stop, but at this point one of the Iowa riders caught up to me. He'd been chased by a second dog but had witnessed my sprint and offered to pull me for the last 4 miles to 160th. What a guy! We wound up finishing together. The time on his wheel let me calm down from my near-death experience. His name was Randy and this was his first brevet. Both his friends were behind us. The turn to 160th came pretty quickly, then the head/cross wind turned into a tail/cross wind for the last 13 miles. We chatted about training and riding in general. Just before Apple Valley, a train was rolling slowly across the tracks. The recumbent and another cyclist were stopped, but the train cleared just and Randy and I approached - good timing. The other two bikes continued ahead and finished just before we did due to a lucky break with the light at 147th. But the two of us pulled in just around 5:30pm. Exactly when I had expected. We found Rob at Old Chicago and sat down for drinks and food. To my enormous surprise, something like 19 riders were still out on the course. I had ridden 100 miles solo thinking I was dead last. Talk about the lonely middle. I also found it ironic that in a field of 30 Minnesotans, I only rode with people from Iowa. Go figure. We stayed at Old Chicago for about an hour and a half chatting with those that followed. IronK showed up for pizza and a beer. It was quite the merrry party and made a fitting end to the season.